Rancho Mirage is a city located in the Coachella Valley and known for its gated communities and lush golf courses. 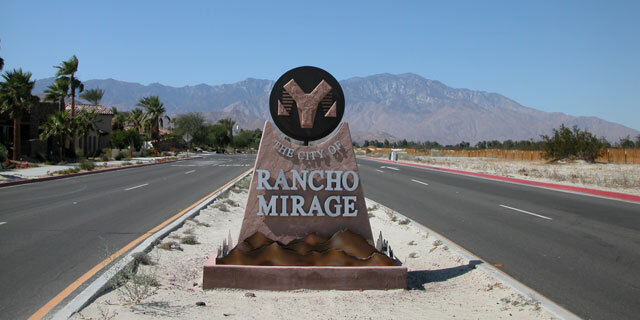 Rancho Mirage is home to institutions like Eisenhower Medical Center, The Betty Ford Center and the Barbara Sinatra Children’s Center – all world-renowned health facilities. The Tolerance Education Center, the Children’s Discovery Museum of the Desert and the Braille Institute deliver programs and services that rival those in any major city. It is also known for a variety of options in senior living. Let our staff at Senior Living Options of the Desert help you find the right option for your loved one. Mirage Inn located in Rancho Mirage, California offers exceptional independent living, personalized assisted living, and alzheimer’s and dementia care options for seniors. Nestled in the heart of Rancho Mirage on nine beautifully manicured acres, Mirage Inn offers a luxurious community in a convenient location. Just minutes from the many attractions of Palm Springs, you can easily access your favorite shops and restaurants with our scheduled transportation services. In addition to our convenient location, we provide a wide array of services and amenities to meet your every need and interest. You can always look and feel your best with our on-site beauty/barber shop and exercise room. And our croquet lawn, putting course and walking trails are the perfect spots to enjoy the beautiful weather. Mirage Inn offers something for everyone, and with our assisted living program and staff available 24 hours a day, you’ll rest easy knowing we can meet your every need. This is a simple promise that the staff at Brookdale Rancho Mirage – and throughout Brookdale Senior Living communities – has shared since 2000 when our community first opened its doors. It’s a simple promise to be compassionate and kind, understanding and respectful – a promise to become extended family to the seniors entrusted in our care and to our retirees who have chosen our community for its active lifestyle. Set on nine acres of beautifully landscaped grounds with a courtyard, walking trails and lovely gardens, Brookdale Rancho Mirage is considered one of the premier continuing care communities in the Coachella Valley area. Located near Interstate 10 and multiple shopping areas, our community offers 141 apartments on two floors. With its warm, family-friendly atmosphere, Brookdale Rancho Mirage feels like home the moment you walk through the doors. Our common areas – including our lovely dining room, TV room, library and pool – give residents and their loved ones the opportunity to get to know one another. We also offer a wide range of activities each month, including exercise classes and off-site excursions to museums, movies and other nearby venues. Brookdale at Rancho Mirage is conveniently located in a residential area near Eisenhower Medical Center and a nursing home rehabilitation facility if ever needed. At Mission Hills Senior Living, life happens according to plan, a comfortable, dynamic, detail-oriented plan. Daily activity is the result of proven practices, systems, standards and an organization that has been refined by experience. You’ll notice the calming structure that comes from master planning with your very first visit. Similar to the motivation of our residents, we strive for balance: activity is balanced with quiet spots, fine dining with casual flair, full-service programs with a la carte freedom.